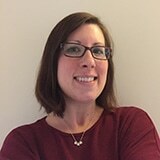 Kerry has been a freelance writer, editor, and proofreader since 2016. She specializes in science and health-related subjects but has written content on a wide variety of topics. Pursuing a passion for science, Kerry completed a degree in Natural Sciences at the University of Bath; where she studied a range of topics, including chemistry, biology, and environmental sciences. Her passion for writing grew as she worked on the university newspaper as a contributor, feature editor, and editor. Kerry is NCTJ trained, having taken a course in Newspaper Journalism. In 2009, Kerry became a staff writer at Laboratory News, before being promoted to web editor in 2011. Some of her responsibilities included writing science-based news and editorial features, as well as interviewing scientists and reviewing books. Kerry was also responsible for editing and commissioning features, sourcing images, and proofreading. She regularly wrote for the quarterly companion series and was responsible for the magazine’s website and social media output. As a freelance writer, Kerry’s work has appeared in many science, medical and lifestyle magazines and websites, including the AZo portfolio. Her articles cover a wide range of topics including nanotechnology, physics, medical devices, pharmaceuticals, and environmental issues, amongst many others. Her aim is to take complicated and technical information and turn it into interesting and engaging content that appeals to both experts and those with little knowledge of the topic. She also edits, proofreads and rewrites articles and interviews prior to publication to improve their clarity. Wind power has long been hailed as a clean and renewable source of energy, which will help to reduce our reliance on polluting fossil fuels. But, is there a downside? Mycelium is the vegetative part of the fungus that grows beneath the surface and absorbs nutrients. Energy efficiency should be as high on the list of desirables as the number of bedrooms, storage space and proximity to local schools/amenities when buying a new house. This article explores the use of drones in construction. A ban on flammable cladding similar to the material used in Grenfell Tower is not enough, says the Fire Brigades Union.